Ariana Swan and Risa Chapnick founded Boutique Publicity in August 2012. This partnership combines almost 30 years of experience in the high-pressure world of studio entertainment publicity. Ariana and Risa first met when they worked together at Fox Filmed Entertainment and both moved over to Warner Bros. Theatrical Publicity, where their positions encompassed publicity, marketing, special events and written communications. Over that time they developed strong ties to the media community, which they maintain today at their offices in Encino, CA. to create and execute various types of strategic publicity and marketing campaigns. Ariana and Risa thrive in a fast-paced environment and by multi-tasking. By forming their own publicity agency, they have been able to create the perfect balance between the work that they love and spending time with their families. 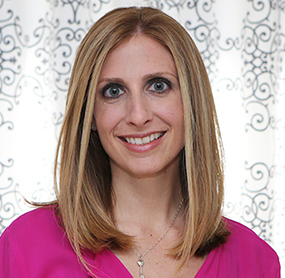 Ariana Swan, Co-Founder of Boutique Publicity began her career in publicity at Fox Filmed Entertainment in 1999. She worked on the regional promotions and publicity team organizing press junkets and events as well as regional promotions for West Coast markets. She then went into National Publicity as an assistant to the Vice President of Publicity and contributed to such films as "Cast Away," "Fight Club" and "The Beach." In 2001, Ariana joined Warner Bros. Publicity team as an assistant to the Senior Vice President of Publicity and worked on campaigns such as "Harry Potter and the Sorcerer's Stone," "Ocean's 11" and "The Matrix Reloaded." In 2003, Ariana was promoted to Publicist and worked on the broadcast campaigns for such high profile movies as "The Last Samurai", "Charlie & the Chocolate Factory" and the Oscar winning campaign for "The Departed." In 2006, Ariana was promoted once again to Senior Publicist and worked on the print and broadcast campaigns for a vast number of films including "Gran Torino," "Inception" and both "The Dark Knight" and" The Dark Knight Rises." Ariana has a Bachelor of Arts degree from The University of Wisconsin at Madison with a major in English and a minor in Communications and Marketing. Ariana lives in Agoura Hills, CA with her husband and two children. 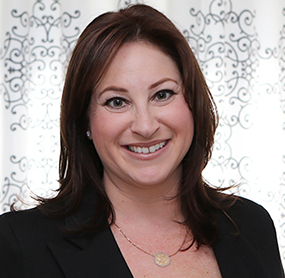 Risa Chapnick, Co-Founder of Boutique Publicity, started her career in advertising and marketing at Los Angeles Magazine in 1995. She then went on to work at Bloomingdales with their public relations team, opening the four West Coast Bloomingdales stores and co-producing two grand opening extravaganzas. Soon after, Chapnick worked at the Sherman Oaks' Bloomingdales coordinating all of the fashion shows, special charity events and shopping days, and handled public relations for the store. In 1998, Chapnick joined Fox Filmed Entertainment as an assistant to the Special Events Director and spent the next five years working on high-profile publicity and marketing campaigns for movies such as "X-Men," "Star Wars: Episode 1," "There's Something About Mary," and "Moulin Rouge" to name a few. She was lead on the creation of the New Media Publicity team and was the department's liaison with the Interactive Marketing department and key coordinator with Fox Filmed Entertainment's National Publicity and Promotions teams. In 2002, Chapnick moved over to Warner Bros. Theatrical Publicity as a Senior Publicist in their National Publicity team, then was later promoted to Director of Publicity. In her almost nine years at Warner Bros. she worked on publicity campaigns for movie hits such as "Batman Begins," "The Dark Knight," "Matrix Revolution" and "Oceans Twelve." Several other successful PR campaigns that Chapnick worked on were "Million Dollar Baby," "Mystic River," "Gran Torino," "The Polar Express" and "Syriana" which won numerous awards. Risa has a Bachelor of Arts degree from The University Arizona, Tucson, in Fashion Merchandising with an emphasis on Communications and Marketing. Risa lives in Encino, CA with her husband and two children.